It’s the weekend so that means it’s time for brunch! Lets discuss my visit to Hix Mayfair restaurant at the Browns Hotel in London for a unlimited champagne brunch. The brunch is a 3 course set menu for £30, you can then add unlimited Bloody Mary’s for an extra £20 or for £25 unlimited champagne. The drinks are limited to two hours. 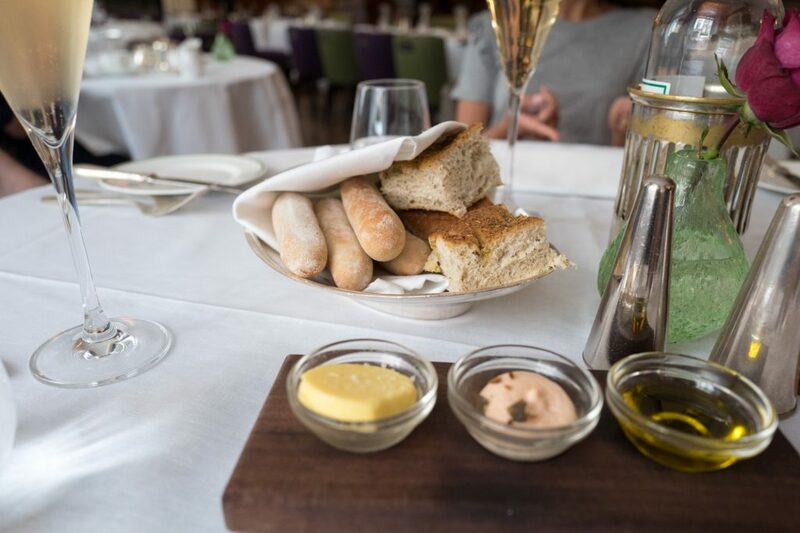 A selection of bread is bought to the table along with a bottle of champagne. 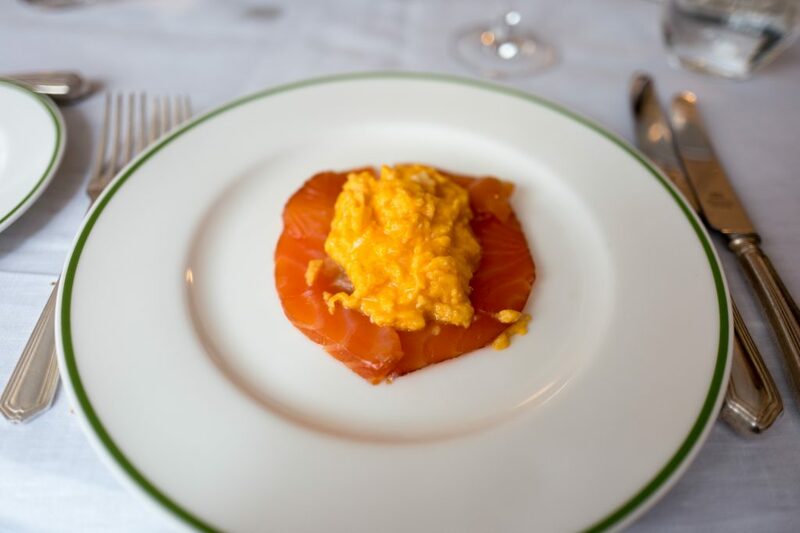 To start I had the scrambled eggs with smoked salmon, the eggs were cooked well and it was well presented. For my main I had the steak sandwich with onion rings and chips, another good choice, the meat was tender and the bread was cooked perfectly. 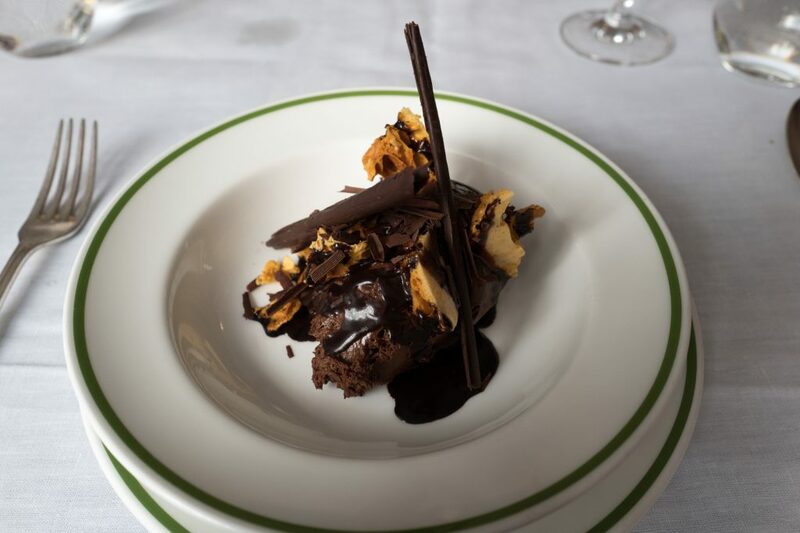 For dessert I had a chocolate and honeycomb pudding, a little rich but I enjoyed it. This last image is the final top up of champagne, they do not hold back at refilling your glasses, there is always a bottle by the table, they are regularly refilling your glasses and they use a good quality house champagne. 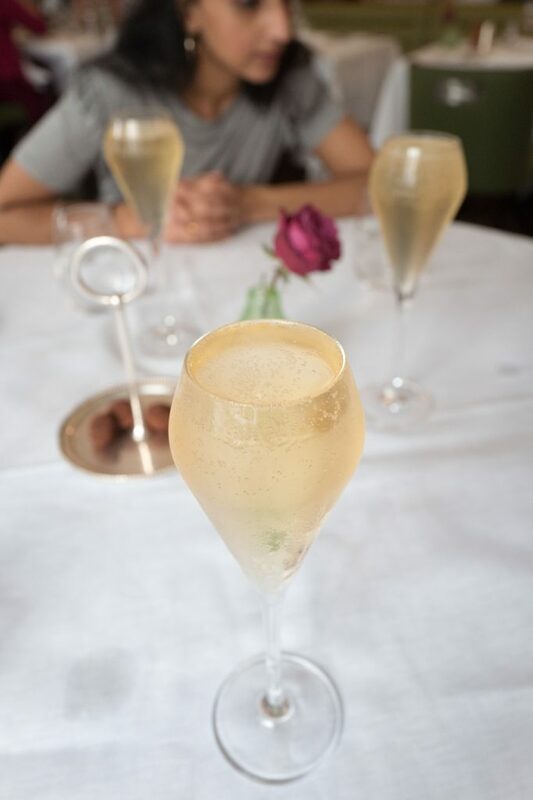 To conclude, I have now visited Hix 4 times in the last few months for weekend champange brunch, each time the service has been excellent, the champange has been free-flowing and the food enjoyable. 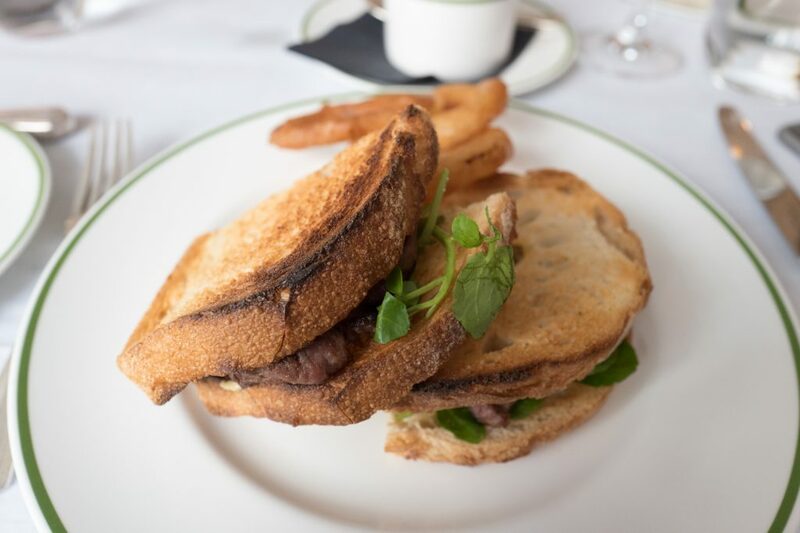 For £55 this is a great place to visit on a weekend afternoon, each time the menu has been slightly different so I have enjoyed many different things including fish & chips, treacle tart, rice pudding and croque monsieur. I look forward to my next visit!